The pharmaceutical industry is one that has been, historically, wary of change. Between stringent healthcare legislations that differ country to country along with tighter controls on clinical trials and drug development, pharmaceutical companies have previously shied away from new technology. However, in today's digital economy, digitization has become a critical way to build competitive differentiation in an increasingly competitive market. One technology that is touted to disrupt the pharmaceutical industry is artificial intelligence (AI), with a projected market value in drug discovery expected to reach $4 billion by 2024. 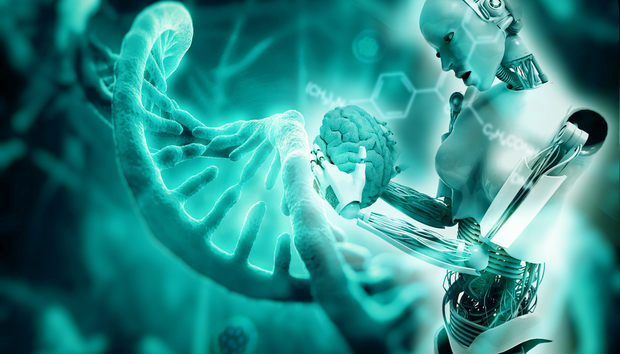 AI technologies such as Machine Learning (ML), Natural Language Processing (NLP), and Robot Process Automation - or "bots" as they're more commonly known - can significantly impact drug discovery. By adopting more efficient and automated processes, more data-driven decisions, as well as smarter predictive analytics, pharmaceutical companies can increase overall R&D success, while reducing development timelines and cost. For those willing to adapt their process and infrastructure sooner rather than later, there is the possibility of strategic advantage over their competitors. How can AI support Drug Discovery? The most mature case is Modelling and Simulation (M&S), a knowledge-rich AI/ML approach used in Phase I trials to identify the appropriate dose for the drug under investigation. While Phase I studies are typically executed with healthy volunteers, M&S enables "in silico" trials, decreasing the need and potential risk for human volunteers. AI can also be used to optimize protocols by simulating different clinical study designs and identifying the most appropriate design, considering the patient population, disease indications, and experience from previous, similar studies. Similarly, based on findings from previous studies, AI modelling and simulation approaches might be used to predict and optimize drug demand, which can fluctuate based on patient recruitment and retention, study design and potential supply and maintenance bottlenecks. A combination of NLP techniques and ML enables the integration of data from different sources. NLP supports extraction and transformation of unstructured text into analyzable data sets, while ML facilitates data curation across different data sources into a single standard format. This increases the potential of hybrid clinical trials in which integration of real-world data - and mainly Electronic Medical Records (EMRs) - can be automated and extended to many countries and regions. Patient recruitment is one of the largest challenges in clinical trial development. In oncology, for instance, only three per cent of cancer patients are taking part in a clinical trial. Once a patient is enrolled, it is critical to ensure he/she remains in the trial to avoid costly drop-out. With ML, preferably working on continuous data coming from sensors and comparing patient behavior patterns, the risk of drop-out or non-adherence to treatment can be predicted, which makes it easier for research teams to decide which patients to focus on. The provision of bots, which answer respondents' questions throughout the entire study, can also increase patient satisfaction and adherence to therapy and increase data quality for further analysis. AI can be used in many ways in drug development and clinical studies to help to shorten the drug development process, which in turn is reflected in reduced costs. To remain competitive in future, pharmaceutical companies must be prepared to enable their organizations to use these technologies effectively. What are the challenges to introduce AI in Pharma? While Robotic Process Automation (RPA) and AI can bring enormous benefits, their implementation brings quite a few challenges, not just around technology but also around organizational changes. The first step in introducing AI is the establishment of a realistic business case to secure top management support and prioritize decisions. As Big Data is core for several AI technologies, establishment of Data Governance supported by skilled data scientists and a technology data backbone is the second priority. Limited understanding of what Big Data/data scientists can do, coupled with the limited pool of experience resources is the real bottle neck for AI expansion in pharma. Identification and deployment of the appropriate set of technologies is the third challenge. There is flurry of new technologies emerging on the market, covering different aspects, and each organization needs to identify the one that meets their needs while confirming - as well as possible - the stability of the technology in the coming ten years. When will AI reach full potential? Usage of AI is by a large part driven by the availability of Big Data. Pharma - being a highly regulated industry like finance and aeronautics - is a "data intensive" industry and has dramatically improved quality and re-use of data in the last five years through introduction of data standards (needed for FDA submission). This is leading to an increase of possibilities for AI solutions, we see happening now. We can expect the hype effect to occur in the coming two years, before we will come to maturity in 3 to 5 years.